Pope Francis has issued his first Apostolic Exhortation on Tuesday, Evangelii Gaudium, translated into English as The Joy of the Gospel. The 224-page document outlines the Pope’s vision for a missionary Church, whose “doors should always be open”. 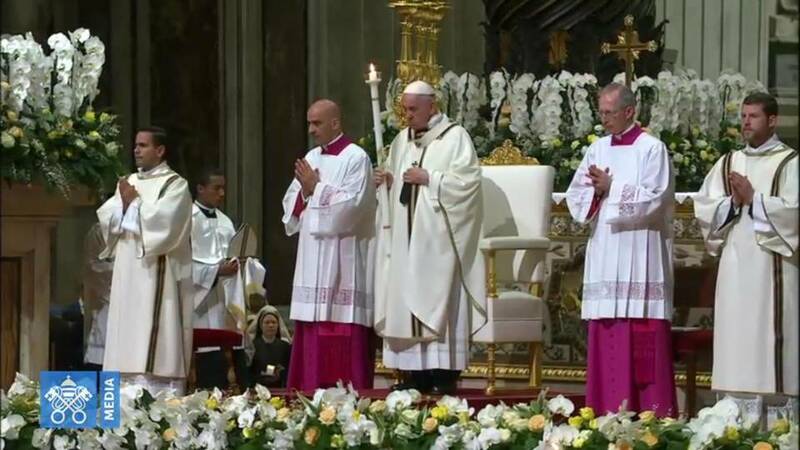 The Pope speaks on numerous themes, including evangelization, peace, homiletics, social justice, the family, respect for creation, faith and politics, ecumenism, interreligious dialogue, and the role of women and of the laity in the Church. The Joy of the Gospel is the title Pope Francis has chosen for this first major document of his pontificate, putting down in print the joyous spirit of encounter with Christ that characterizes every public appearance he has made so far. The man who has constantly kept the media’s attention with his desire to embrace and share his faith with everyone he meets, now urges us to do exactly the same. To “recover the original freshness of the Gospel”, as he puts it, through a thorough renewal of the Church’s structures and vision. Including what he calls “a conversion of the papacy” to make it better able to serve the mission of evangelization in the modern world. The Church, he says, should not be afraid to re-examine “customs not directly connected to the heart of the Gospel” even if they may have deep historical roots. “The joy of the Gospel fills the hearts and lives of all who encounter Jesus.” Thus begins the Apostolic Exhortation Evangelii Gaudium, by which Pope Francis develops the theme of the proclamation of the Gospel in the contemporary world, drawn from, among other sources, the contribution of the work of the Synod held in the Vatican, from 7 to 28 October 2012, on the theme “The new evangelization for the transmission of the faith”. “I wish to encourage the Christian faithful to embark upon a new chapter of evangelization marked by this joy, while pointing out new paths for the Church’s journey in years to come” (1). It is a heartfelt appeal to all baptized persons to bring Christ’s love to others, “permanently in a state of mission” (25), conquering “the great danger in today’s world”, that of an individualist “desolation and anguish” (2). The Pope invites the reader to “recover the original freshness of the Gospel”, finding “new avenues” and “new paths of creativity”, without enclosing Jesus in “dull categories” (11). There is a need for a “pastoral and missionary conversion, which cannot leave things as they presently are” (25) and a “renewal” of ecclesiastical structures to enable them to become “more mission-oriented” (27). The Pontiff also considers “a conversion of the papacy” to help make this ministry “more faithful to the meaning which Jesus Christ wished to give it and to the present needs of evangelization”. 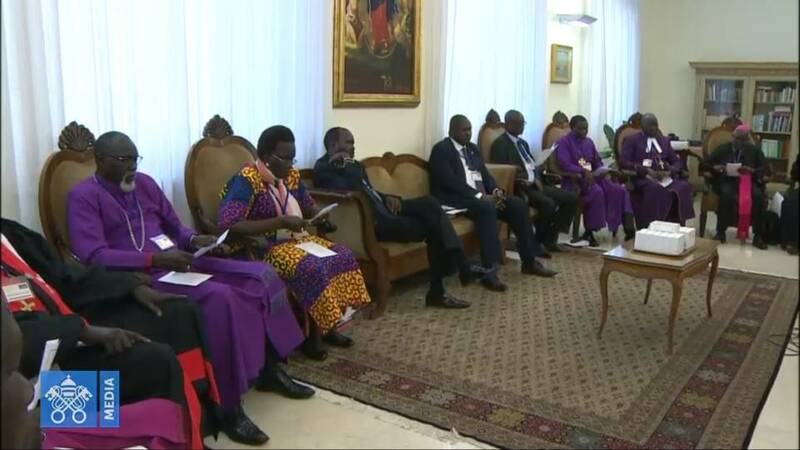 The hope that the Episcopal Conferences might contribute to “the concrete realization of the collegial spirit”, he states, “has not been fully realized” (32). A “sound decentralization” is necessary (16). In this renewal, the Church should not be afraid to re-examine “certain customs not directly connected to the heart of the Gospel, even some of which have deep historical roots” (43). A sign of God’s openness is “that our church doors should always be open” so that those who seek God “will not find a closed door”; “nor should the doors of the sacraments be closed for simply any reason”. The Eucharist “is not a prize for the perfect but a powerful medicine and nourishment for the weak”. These convictions have pastoral consequences that we are called to consider with prudence and boldness” (47). He repeats that he prefers “a Church which is bruised, hurting and dirty because it has been out on the streets, rather than a Church … concerned with being at the centre and then ends by being caught up in a web of obsessions and procedures. If something should rightly disturb us … it is the fact that many of our brothers and sisters are living without … the friendship of Jesus Christ” (49). The Pope indicates the “temptations which affect pastoral workers” (77): “individualism, a crisis of identity and a cooling of fervour” (78). The greatest threat of all is “the grey pragmatism of the daily life of the Church, in which all appears to proceed normally, which in reality faith is wearing down” (83). He warns against “defeatism” (84), urging Christians to be signs of hope (86), bringing about a “revolution of tenderness” (88). It is necessary to seek refuge from the “spirituality of well-being … detached from responsibility for our brothers and sisters” (90) and to vanquish the “spiritual worldliness” that consists of “seeking not the Lord’s glory but human glory and well-being” (93). The Pope speaks of the many who “feel superior to others” because “they remain intransigently faithful to a particular Catholic style from the past” whereby “instead of evangelizing, one analyses and classifies others” (94). 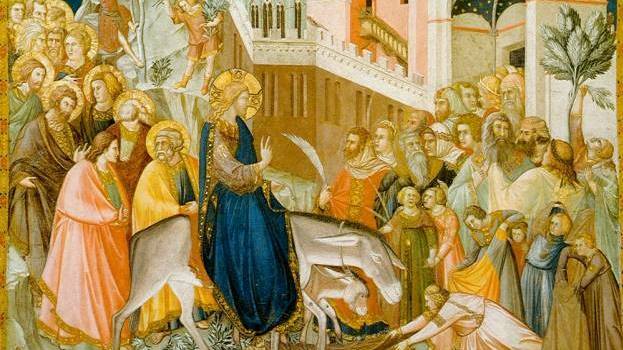 And those who have “an ostentatious preoccupation for the liturgy, for doctrine and for the Church’s prestige, but without any concern that the Gospel have a real impact” on the needs of the people (95). This is “a tremendous corruption disguised as a good … God save us from a worldly Church with superficial spiritual and pastoral trappings!” (97). He appeals to ecclesial communities not to fall prey to envy and jealousy: “How many wars take place within the people of God and in our different communities!” (98). “Whom are we going to evangelize if this is the way we act?” (100). He highlights the need to promote the growth of the responsibility of the laity, often kept “away from decision-making” by “an excessive clericalism” (102). He adds that there is a need for “still broader opportunities for a more incisive female presence in the Church”, in particular “in the various settings where important decisions are made” (103). “Demands that the legitimate rights of women be respected … cannot be lightly evaded” (104). The young should “exercise greater leadership” (106). With regard to the scarcity of vocations in many places, he emphasizes that “seminaries cannot accept candidates on the basis of any motivation whatsoever” (107). With regard to the theme of inculturation, he remarks that “Christianity does not have simply one cultural expression” and that the face of the Church is “varied” (116). 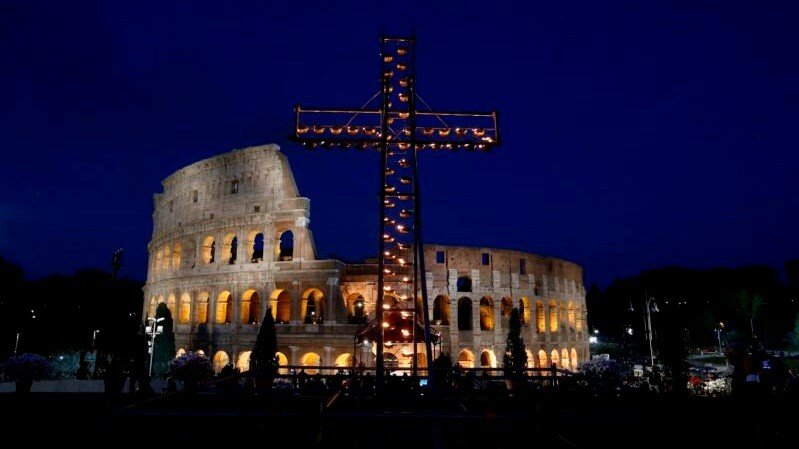 “We cannot demand that peoples of every continent, in expressing their Christian faith, imitate modes of expression which European nations developed at a particular moment of their history” (118). The Pope reiterates that “underlying popular piety … is an active evangelizing power” (126) and encourages the research of theologians, reminding them however that “the Church and theology exist to evangelize” and urges them not to be “content with a desk-bound theology” (133). He focuses “somewhat meticulously, on the homily”, since “many concerns have been expressed about this important ministry and we cannot simply ignore them” (135). The homily “should be brief and avoid taking on the semblance of a speech or a lecture” (138); it should be a “heart-to-heart communication” and avoid “purely moralistic or doctrinaire” preaching (142). He highlights the importance of preparation: “a preacher who does not prepare is not ‘spiritual’; he is dishonest and irresponsible” (145). Preaching should always be positive in order always to “offer hope” and “does not leave us trapped in negativity” (159). The approach to the proclamation of the Gospel should have positive characteristics: “approachability, readiness for dialogue, patience, a warmth and welcome, which is non-judgmental” (165). In relation to the challenges of the contemporary world, the Pope denounces the current economic system as “unjust at its root” (59). “Such an economy kills” because the law of “the survival of the fittest” prevails. The current culture of the “disposable” has created “something new”: “the excluded are not the ‘exploited’ but the outcast, the ‘leftovers’” (53). “A new tyranny is thus born, invisible and often virtual”, of an “autonomy of the market” in which “financial speculation” and “widespread corruption” and “self-serving tax-evasion reign” (56). He also denounces “attacks on religious freedom” and the “new persecutions directed against Christians. … In many places the problem is more that of widespread indifference and relativism” (61). 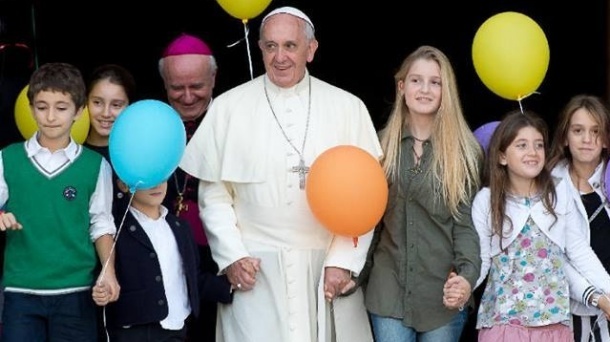 The family, the Pope continues, “is experiencing a profound cultural crisis”. Reiterating the indispensable contribution of marriage to society” (66), he underlines that “the individualism of our postmodern and globalized era favours a lifestyle which … distorts family bonds” (67). He re-emphasizes “the profound connection between evangelization and human advancement” (178) and the right of pastors “to offer opinions on all that affects people’s lives” (182). “No one can demand that religion should be relegated to the inner sanctum of personal life, without a right to offer an opinion on events affecting society”. He quotes John Paul II, who said that the Church “cannot and must not remain on the sidelines in the fight for justice” (183). “For the Church, the option for the poor is primarily a theological category” rather than a sociological one. “This is why I want a Church that is poor and for the poor. They have much to teach us” (198). “As long as the problems of the poor are not radically resolved … no solution will be found for this world’s problems” (202). “Politics, although often denigrated”, he affirms, “remains a lofty vocation and one of the highest forms of charity”. I beg the Lord to grant us more politicians who are genuinely disturbed by … the lives of the poor!” (205). He adds an admonition: “Any Church community”, if it believes it can forget about the poor, runs the risk of “breaking down”. The Pope urges care for the weakest members of society: “the homeless, the addicted, refugees, indigenous peoples, the elderly who are increasingly isolated and abandoned” and migrants, for whom the Pope exhorts “a generous openness” (210). He speaks about the victims of trafficking and new forms of slavery: “This infamous network of crime is now well established in our cities, and many people have blood on their hands as a result of their comfortable and silent complicity” (211). “Doubly poor are those women who endure situations of exclusion, mistreatment and violence” (212). “Among the vulnerable for whom the Church wishes to care with particular love and concern are unborn children, the most defenceless and innocent among us. Nowadays efforts are made to deny them their human dignity” (213). “The Church cannot be expected to change her position on this question … it is not ‘progressive’ to try to resolve problems by eliminating a human life” (214). The Pope makes an appeal for respect for all creation: we “are called to watch over and protect the fragile world in which we live” (216). With regard to the theme of peace, the Pope affirms that “a prophetic voice must be raised” against attempts at false reconciliation to “silence or appease” the poor, while others “refuse to renounce their privileges” (218). For the construction of a society “in peace, justice and fraternity” he indicates four principles (221): “Time is greater than space” (222) means working “slowly but surely, without being obsessed with immediate results” (223). “Unity prevails over conflict” (226) means “a diversified and life-giving unity” (228). “Realities are more important than ideas” (231) means avoiding “reducing politics or faith to rhetoric” (232). “The whole is greater than the part” means bringing together “globalization and localization” (234). “Evangelization also involves the path of dialogue,” the Pope continues, which opens the Church to collaboration with all political, social, religious and cultural spheres (238). 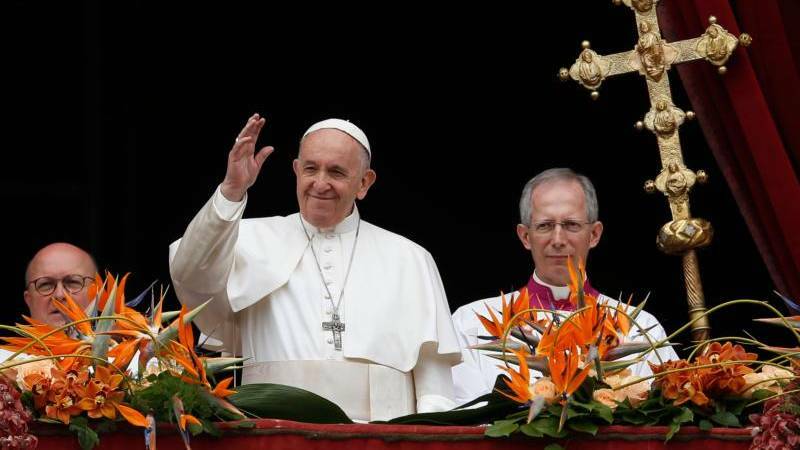 Ecumenism is “an indispensable path to evangelization”. Mutual enrichment is important: “we can learn so much from one another!” For example “in the dialogue with our Orthodox brothers and sisters, we Catholics have the opportunity to learn more about the meaning of Episcopal collegiality and their experience of synodality” (246); “dialogue and friendship with the children of Israel are part of the life of Jesus’ disciples” (248); “interreligious dialogue”, which must be conducted “clear and joyful in one’s own identity”, is “a necessary condition for peace in the world” and does not obscure evangelization (250-251); in our times, “our relationship with the followers of Islam has taken on great importance” (252). The Pope “humbly” entreats those countries of Islamic tradition to guarantee religious freedom to Christians, also “in light of the freedom which followers of Islam enjoy in Western countries!” “Faced with disconcerting episodes of violent fundamentalism” he urges us to “avoid hateful generalisations, for authentic Islam and the proper reading of the Koran are opposed to every form of violence” (253). And against the attempt to private religions in some contexts, he affirms that “the respect due to the agnostic or non-believing minority should not be arbitrarily imposed in a way that silences the convictions of the believing majority or ignores the wealth of religious traditions” (255). He then repeats the importance of dialogue and alliance between believers and non-believers (257). The final chapter is dedicated to “spirit-filled evangelizers”, who are those who are “fearlessly open to the working of the Holy Spirit” and who have “the courage to proclaim the newness of the Gospel with boldness (parrhesía) in every time and place, even when it meets with opposition” (259). These are “evangelizers who pray and work” (262), in the knowledge that “mission is at once a passion for Jesus and a passion for his people” (268): “Jesus wants us to touch human misery, to touch the suffering flesh of others” (270). He explains: “In our dealings with the world, we are told to give reasons for our hope, but not as an enemy who critiques and condemns” (271). “Only the person who feels happiness in seeking the good of others, in desiring their happiness, can be a missionary” (272); “if I can help at least one person to have a better life, that already justifies the offering of my life” (274). The Pope urges us not to be discouraged before failure or scarce results, since “fruitfulness is often invisible, elusive and unquantifiable”; we must know “only that our commitment is necessary” (279). The exhortation concludes with a prayer to Mary, “Mother of Evangelization”. “There is a Marian ‘style’ to the Church’s work of evangelization. Whenever we look to Mary, we come to believe once again in the revolutionary nature of love and tenderness” (288).